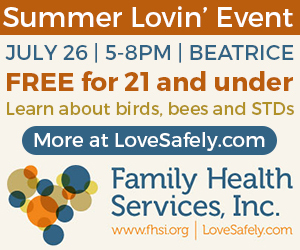 Family Health Services is here to help you Love Safely! We have locations in Lincoln and Tecumseh, Nebraska and provide clinics once or twice a month in Beatrice, Peru and Crete. From birth control to HIV and STI testing, Family Health Services has you covered. Our primary purpose is to ensure the reproductive health of men and women by offering confident and caring exams, treatment and prevention at a low cost. Every donation helps! Many thanks to all of our supporters! Our trained staff are available to make your visit as comfortable as possible. Get an STD test today.